General Brainstorming: In-game Camera, Menus, Map, etc. Post-Apocalyptic RPG forums | Development | Mechanics (Moderator: zenbitz) | General Brainstorming: In-game Camera, Menus, Map, etc. Having played the latest version of parpg I've gotten a pretty good idea of where things are going - and I can see there is still plenty of room for improvement. The current in-game camera is (IMO) pretty annoying and detracts from the game. When moving around the map you are limited to the area of the map that you can see, you can explore further around the map but your character will go off-screen and the camera wont follow them - you have to use the mouse to pan along the map if you want to see the rest of it. Where am I? I'm back where I was in the last screenshot. Somewhere far off to the right. I was about to move up a little bit but when I went to click an arrow appeared and moved the camera in the general direction of the mouse (Top left). This time the camera moved, but my character didn't. I think this is a major gameplay problem concerning player movement. It would be a more enjoyable game if the camera moved relative to the character. I hope those screenshots have helped me convey why. Also, sorry for being so critical. In the above image, the camera has scrolled really far away from the map altogether - which coincidentally is where the PC is located. This happened to me when I was first giving this game ago, the camera scrolled really far off while I was taking a look at the item/carrying menu. It took me a bit to figure out what had happened. I thought the game had stuffed up and all the graphics had disappeared. After figuring out the camera had simply panned finding my character wasn't too much effort, but it would have been easier if I could press something like "Ctrl F" and find myself centred on my character once again. So yeah. A fixed camera would be a really, really nice addition. Please? How is the implementation of this coming along? It's still too early for me to make many solid opinions on this part of the game because I haven't really had any need to use the menus much beyond holding a package for the as-yet to exist Pekko - who according to the wiki is actually dead. (No wonder I never found him!). I think it would be nice if there was a shortcut key for bringing up this menu instead of having to click the bag button. Maybe just press "Tab" or something, but keep the option to click as well. It would be cool if I could equip things like armour, clothing, weapons, etc by dragging and dropping them on the avatar in the items screen. How long will it take to make it bigger and add things like a desolate waste land, woods to explore (Full of mutated pine-trees? ), rivers to cross, caves to explore, mutants to kill, animals to hunt? 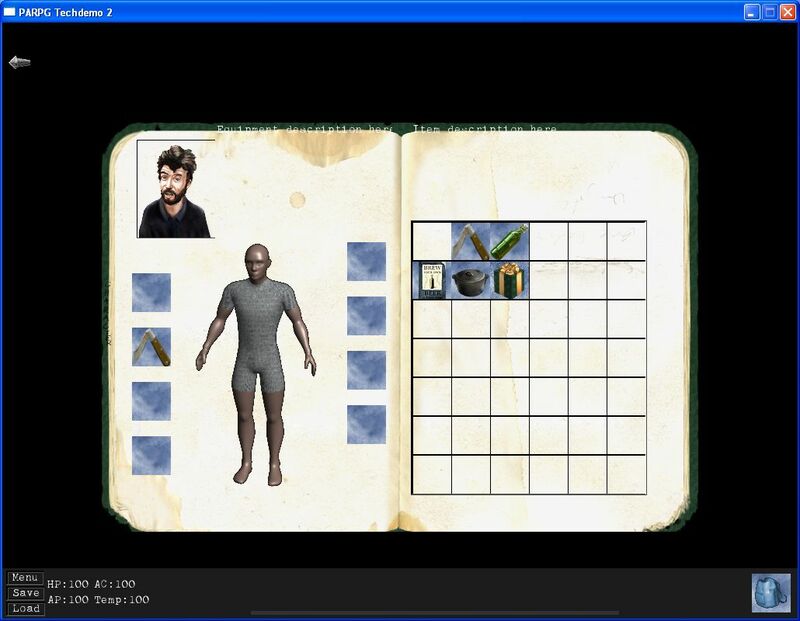 Re: General Brainstorming: In-game Camera, Menus, Map, etc. Yeah, we are aware that the game is far from finished. There currently is only 1 kinda active programmer - me. 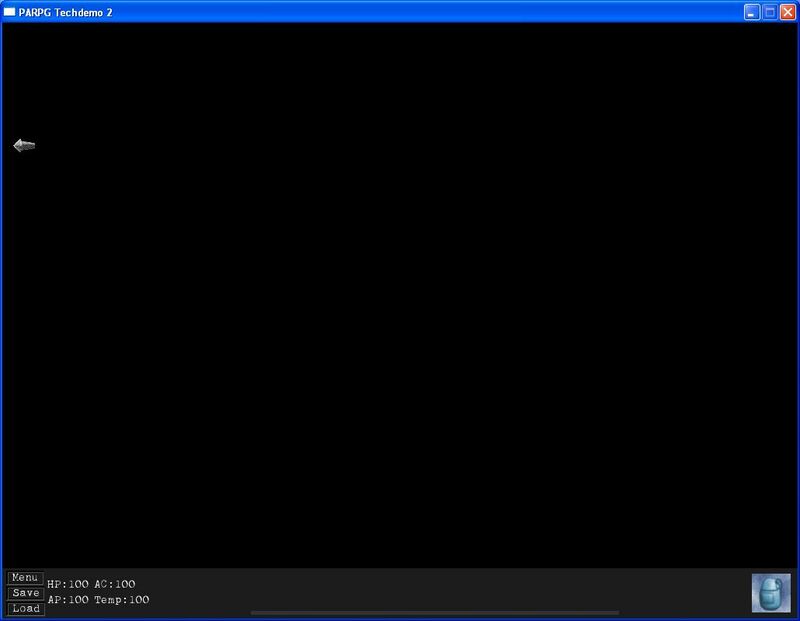 For the camera pressing <Space> will recenter the camera on the player. 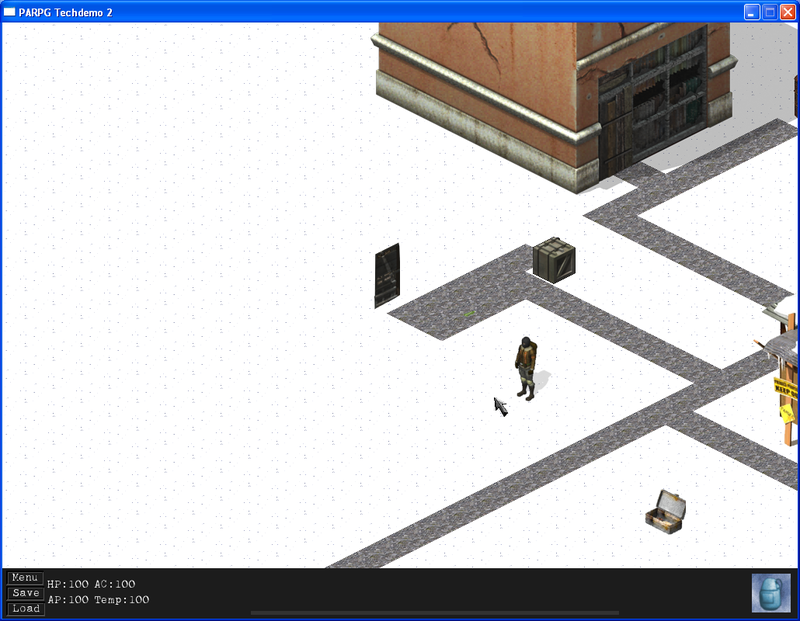 Pressing <I> should bring up the inventory, though closing that ways doesn't work atm i think. I just tried it. Those are both really handy, thanks. Pressing <I> to open and close the inventory worked fine for me. I'm all for having comfortable scrolling, auto-centering map option easy to turn on and off and really big maps, possibly even endless, generated on the fly. Problem is, as often - I'm not only one here that may want something, and I'm incapable of coding things. I'd rather do what I do best, than try things I know I'll fail and take other's time while trying. We're really far from finish. We're even far from beta. The game only looks and feels better with time, but it usually takes eons to polish a project like this - no matter if we're talking about code, world design, mechanics, writing, graphics or music. That's both good and bad. Bad is you can't really enjoy nothing in the game as a consumer, good is you can actually make something. More you make - more chances for success the project has. Yeah, I know. Just throwing suggestions out there since there isn't much else I can do at the moment. I'm still reading through the forums and the wiki. Just felt like giving my impressions on the game so far and ways I think it could be improved. I don't mind if the camera scheme stays (pretty much) the way it is. It's a lot like Fallout 2 at the moment, which I'm pretty sure is inspiration for this game. 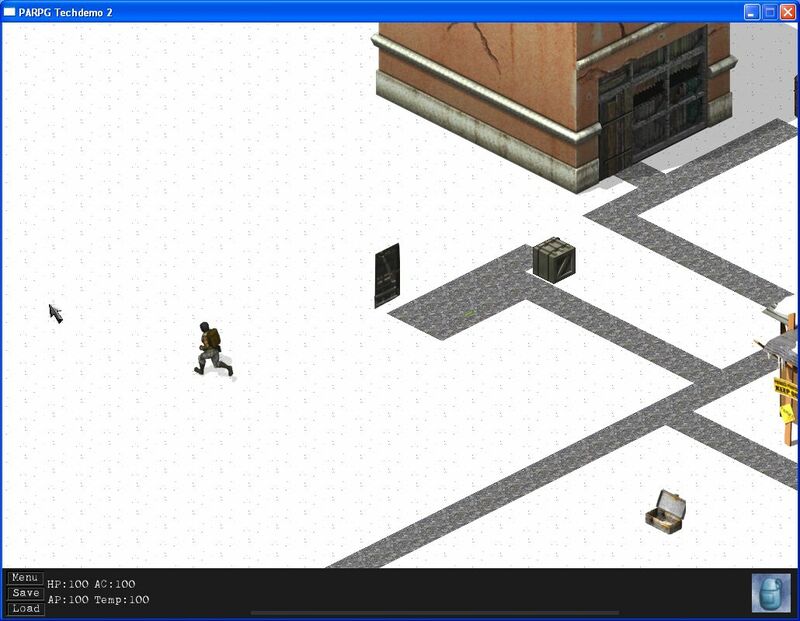 I just think a fixed camera has a more modern feel and goes well with an isometric game. But like Beliar said - he is the only active programmer here at the moment so I know better than to ask for X amount of features - but it's still fun to talk about them.